Have to guys seen Trolls movie which came last year November. I watched this movie twice, very nice and color-full movie. I am mentioning this movie because today's post is related to it. Today I am Reviewing The PUR Cosmetics DreamWorks Trolls Eyeshadow Palette. 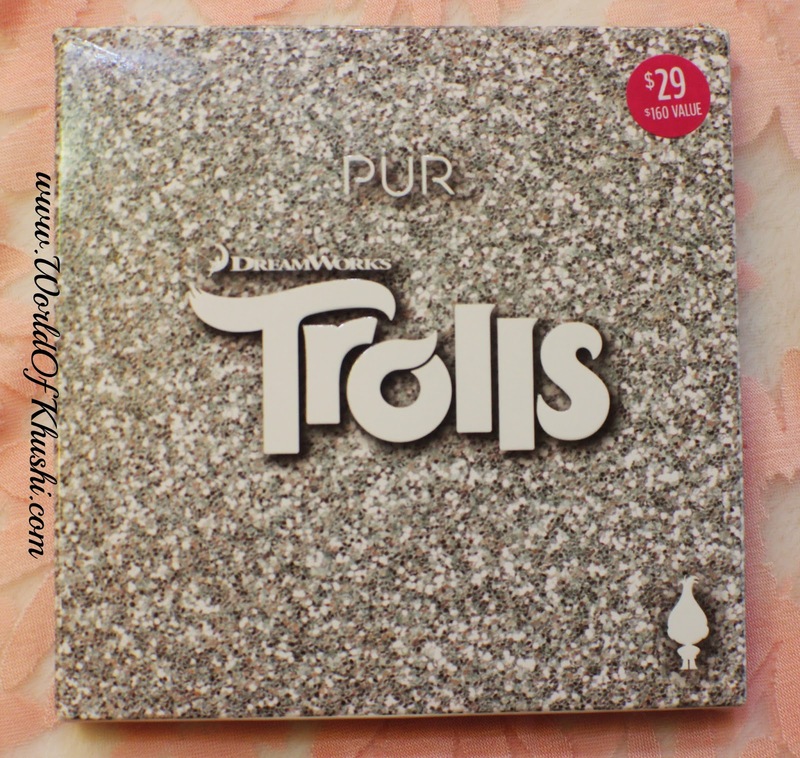 This palette is a special Limited Edition released in celebration of the Trolls movie which PUR Cosmetics made with DreamWorks. The whole palette is very colorful just like the movie and even they named all the shades with movie character names. I never use PUR Cosmetics product before and must say very underrated product. Few months back I had some Kohls Cash of around $30 from Kohl's. After a lot of search I thought to buy this product as it costs $29 plus the shades were looking very cute and colorful. 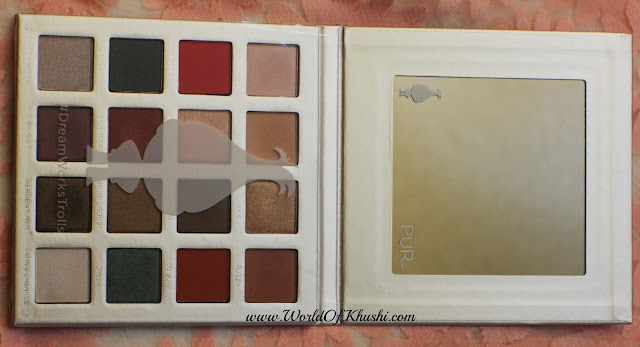 When it came I had very less expectation as I never heard anything about Pur Cosmetics but this palette totally surprised me. Every single shadow is so damn pigmented plus it's quite long lasting. Below is my full Review for this product. 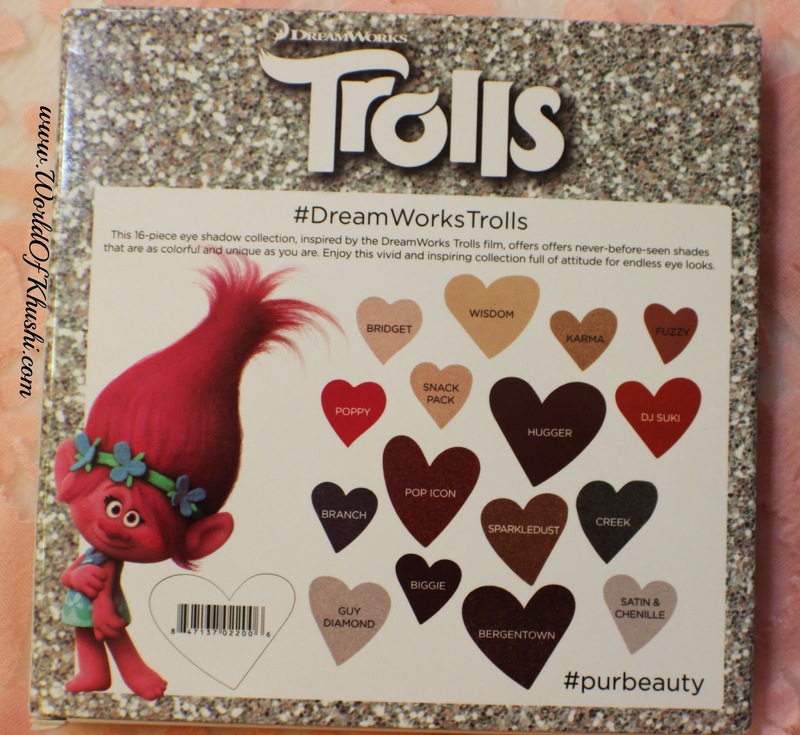 This 16-piece eyeshadow collection, inspired by the film Trolls by DreamWorks, offers never-before-seen shades that are as colorful and unique as you are. Palette has both subtle and dramatic shades. For a subtle wash of color, apply each Eyeshadow with an Eyeshadow brush. For a dramatic look, dampen the brush and apply to eyelids for intense color. This Palette comes with square shaped cardboard silver packaging. It has 16 different Eye-shadows!! All the shades are pigmented and it has very square mirror. The texture of shadows is very smooth and creamy. Great mix of Matte, Satins and Shimmers shadows. 3. Highly pigmented specially darker shades. 4. Smooth and creamy texture. 6. Even if you don't use Primer it will last for long. 7. Very long-lasting after Primer. 1. Little fall-out, only with darker shimmery colors. 2. Wish they have solid box packaging like Naked or Chocolate one. Definitely it's good palette plus it's limited edition.. I already have this palette which I guess last me for very long. I like to give it 4.7/5. 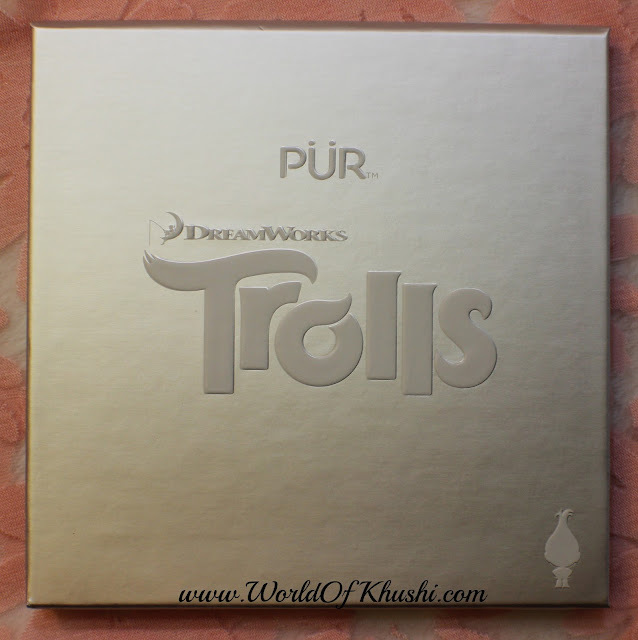 This is my full Review for The PUR Cosmetics DreamWorks Trolls Eyeshadow Palette. Overall! It's beautiful palette which have highly pigmented Eye-shadows. The fall-out is also very less! All the colors are very beautiful and rich. I am so happy to have this palette, the only problem is that it's not easily available. If you gets hands on it then definitely buy this palette. 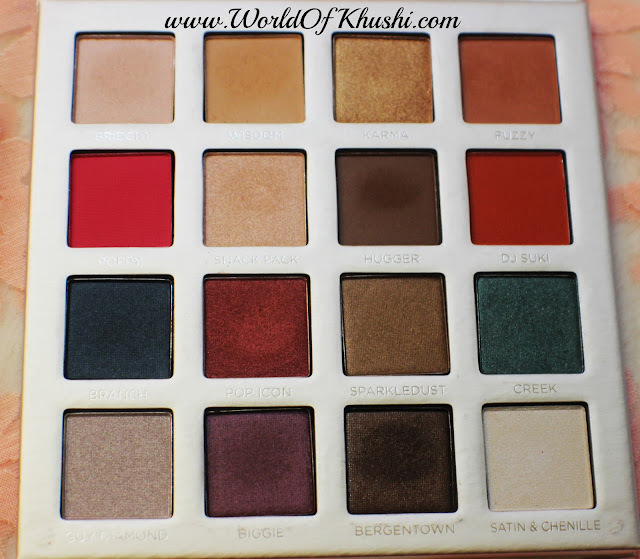 If you love colorful eye-shadows then you gonna like this palette. Hope you got some idea about this product. Wish you all the best. 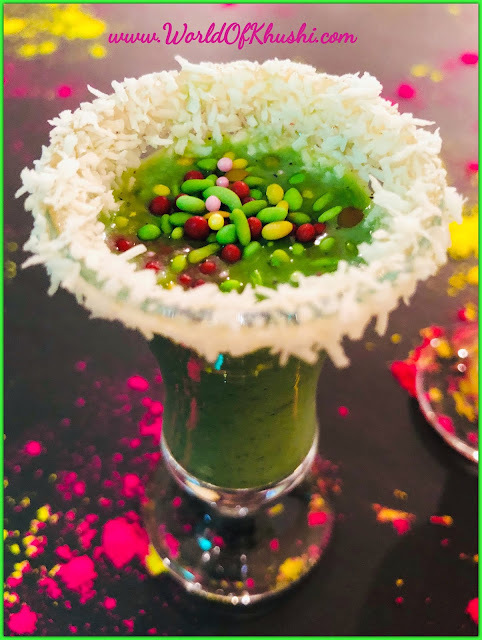 Again if you try this product then please let me know your feedback.